Have you ever set out to do something you knew you were supposed to do, only to find it wasn’t as easy as you thought it would be? Perhaps you think you’re not good enough, or that there’s no room for you because there’s someone else already doing what you feel led to do. If you feel like your opportunities are shrinking, or if you’ve gotten a “sign” that you should quit because you’ve messed up too much for God to use you — this episode is for you. 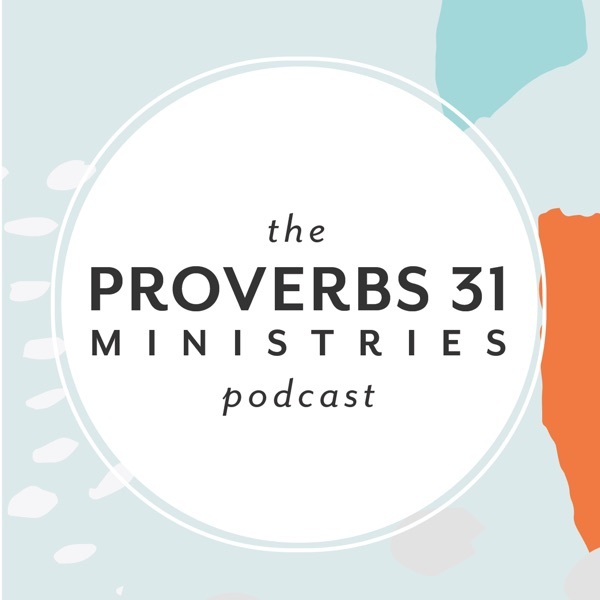 Glynnis Whitwer, Proverbs 31 Ministries' Executive Director of Communications, gives a message on the three things you need to know before you give up on your calling. God isn’t in the business of dividing opportunities; He’s in the business of multiplying them. “Success” in God’s Kingdom is based on obedience, and “failure” is quitting before God tells you to quit. Your pain will be your biggest platform because it’s the place where you experienced God’s greatest power. Take the next step in your calling to write by becoming a member of our COMPEL Writer's Training program. Click here to learn more! If you feel called to speak, write or lead, but don’t know where to start, find out more about our She Speaks Conference. Registration isn’t open yet, so sign up for the interest list to be notified as soon as registration opens in 2019! I have MS and went through a divorce in 2008. I didn't cope well and choose drinking to deal with my hurt. I lost everything. I was a nurse but I can no longer do that. I remarried a man that showed me extreme compassion and empathy but it wasn't always the healthiest relationship and my family never accepted him. 4 years into the marriage I ended up in a wheelchair. I remained in the wheelchair 4 almost 4 years. I know it was a miracle when I was led to a surgeon who did a surgery that gave results better than expected. I still struggled to walk years after and have a lot of pain. My husband passed away last year and its been so hard to feel desire to live. Thankfully I received wonderful PT and I am walking better and ever and I am now driving after 6 years. I pray I can become useful again. That God will use all of this for his glory. I'm not there yet. Thank you for this wonderful message. What kind of woman is God calling you to be today? A woman everyone likes, or a woman who is obedient no matter the cost, and humble no matter what others may think?